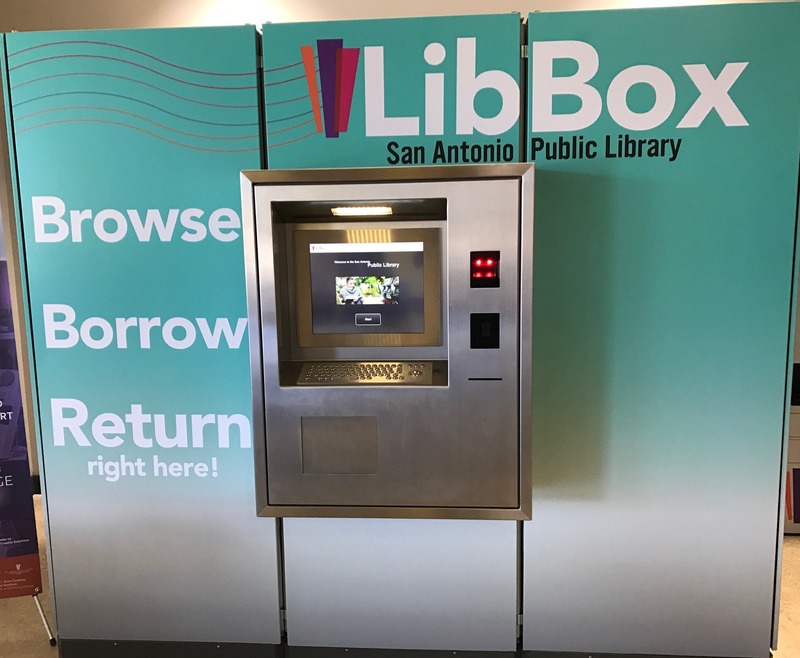 The LibBox allows you to browse, checkout, and return* a collection of both popular and classic books and DVDs. The Holds Lockers allow you to pick up an item(s) you placed on hold; an email address is required to use the locker. 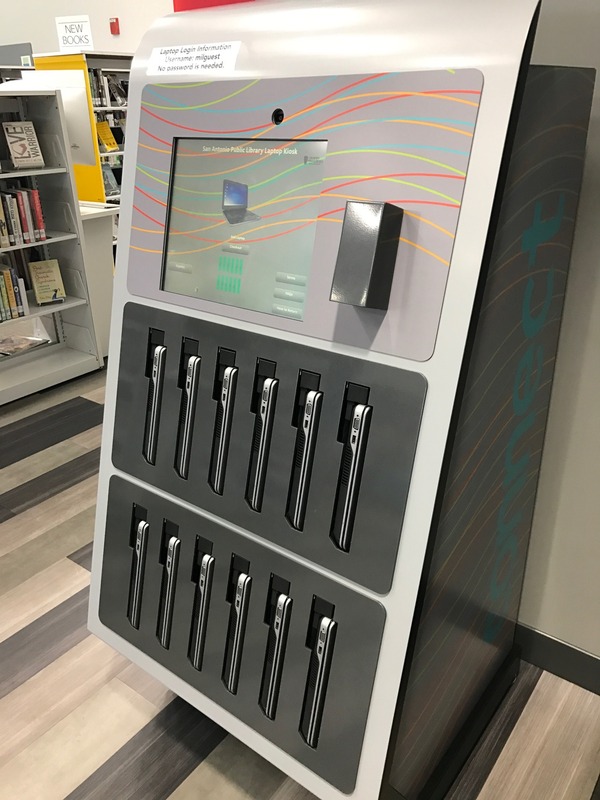 The Laptop Kiosk allows you to conveniently checkout a laptop for in-library use for up to 3 hours at a time. The LibBox and the Holds Lockers are available for use whenever the Mays Family YMCA at Potranco is open. 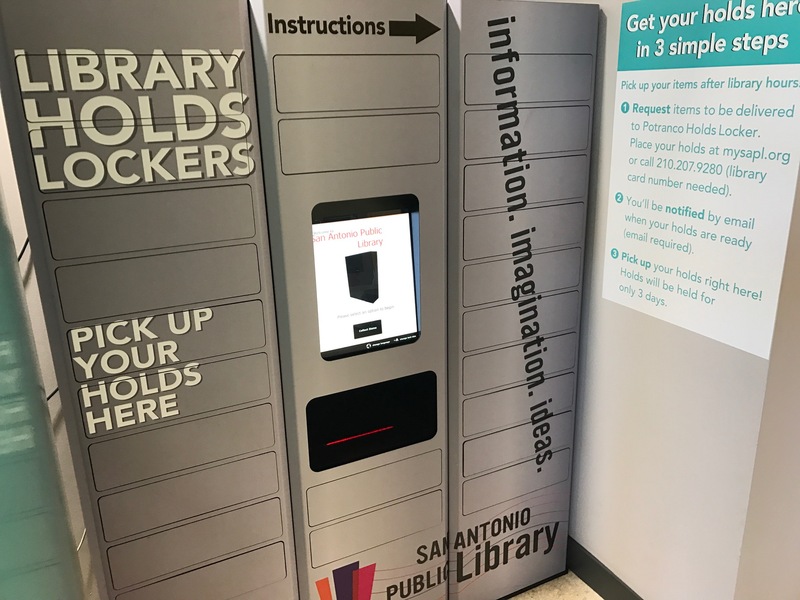 The Laptop Kiosk is available for use whenever the Potranco Branch Library is open. We hope that you will enjoy using these additional library services, whether it's early in the morning or late at night! Check the guides on the left-hand side for more information on using these dispensers. *Please note that the LibBox will only accept returns for items checked out through the LibBox.